Developer Console Not Loading - A Cool Fix! 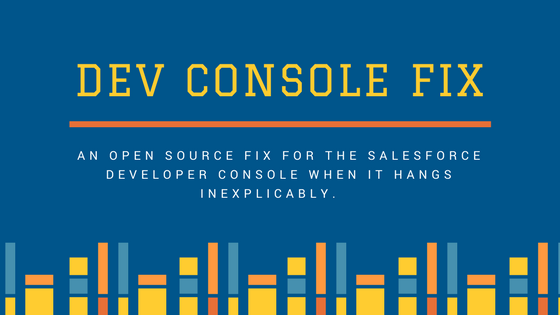 If you are a frequent user of the Salesforce Developer Console, you have probably run into an issue where the console simply hangs up, but no error message is provided. Not knowing what went wrong can be frustrating. Fortunately, Salesforce developer extraordinaire Bo Laurent has just released something which makes solving this problem much simpler: a new VisualForce page that clears a Salesforce user’s developer console state. It’s open source and free on GitHub and is a great gift to the community. Googling “Salesforce Developer Console Not Loading” led Bo to this fix from Salesforce. But being a determined developer, Bo was not satisfied. First, she built a Python script to automate the fix, but even then felt she could go further. Installation is simple. 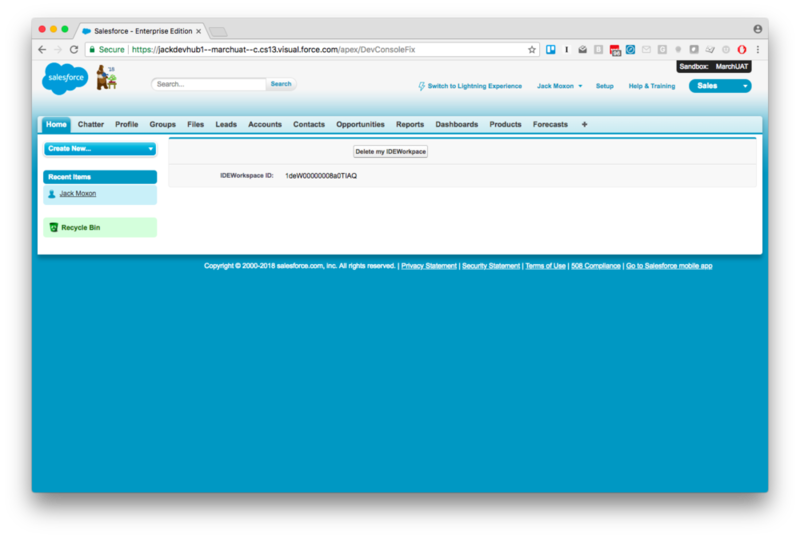 Just create a VisualForce page and copy and paste in the code from this DeveloperConsole.page. The URL for the page will be /apex/YourPageName. You can do this in your Sandbox or your production environment. Once you’ve done this, you can visit the URL for that VisualForce page and click the “Delete my IDEWorkspace” button. Clicking this will refresh the state of your IDE and make the Dev Console stop hanging. It’s really that simple.